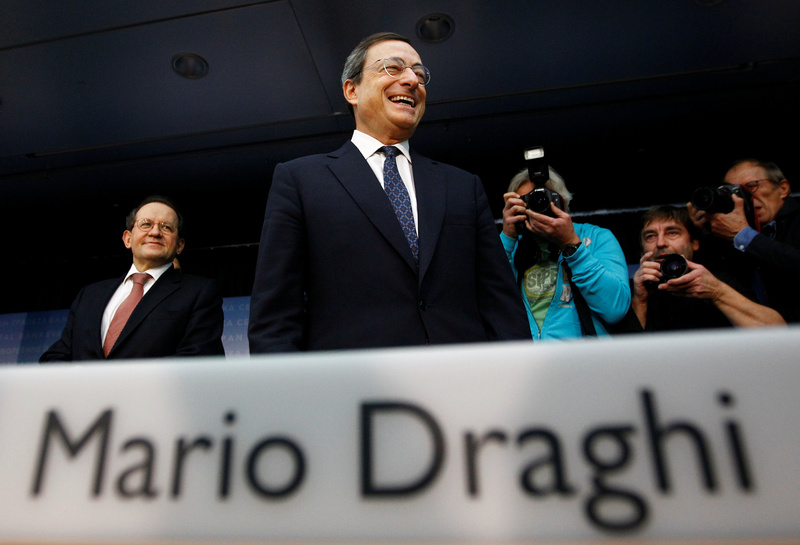 The European Central Bank President Mario Draghi arrives for his first news conference in Frankfurt, November 3, 2011.. The European Central Bank will consider whether preserving its negative interest rates requires the mitigation of their possible side effects, if any, on bank intermediation, ECB President Mario Draghi said on April 10. Draghi was speaking at a news conference following the ECB's regular monetary policy meeting, at which it kept interest rates unchanged. ECB staff have been studying a tiered deposit rate, which would give banks a partial exemption from paying 0.4 percent interest on the excess cash they park at the central bank. Draghi said it was too early to make a decision on tiering, which would depend on a thorough assessment of the bank-based transmission channel for the ECB's monetary policies and on further developments in the economic outlook.